Type “amp” in the search box. 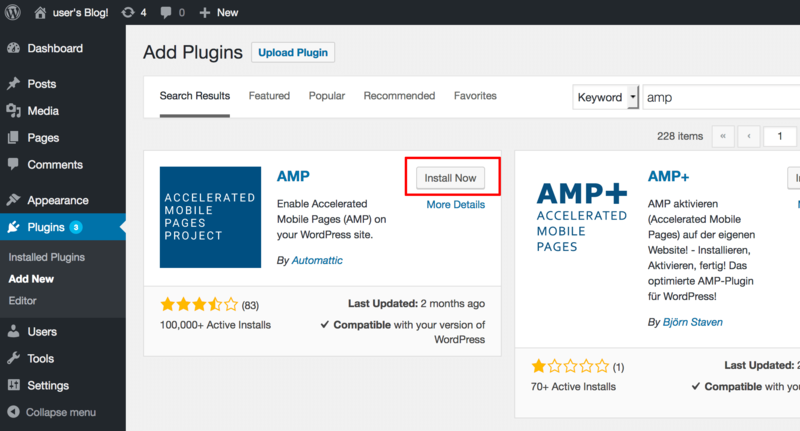 Install the “AMP” plugin by clicking the “Install Now” button. 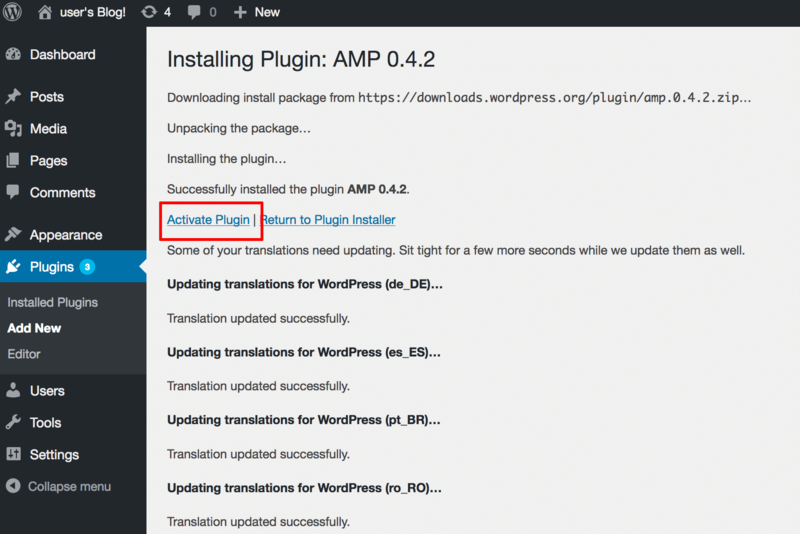 Click the “Activate plugin” link. Read more about the Accelerated Mobile Pages project. 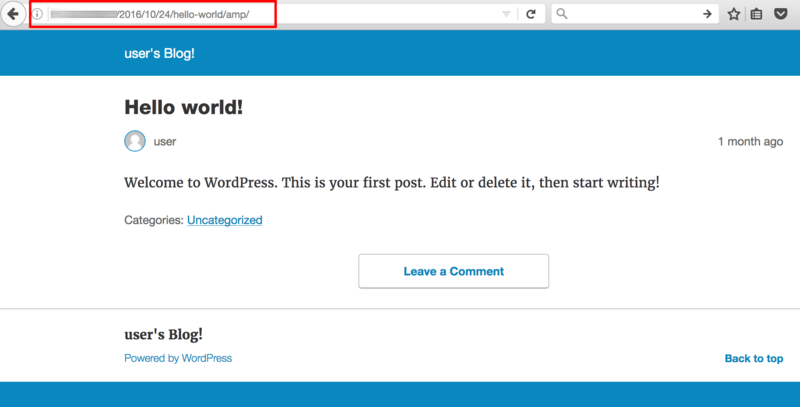 NOTE: As of this writing, the AMP plugin only works for WordPress posts and not pages.